I can create a unique, modern, custom animated video, that will represent your business on social media in the best way possible. We take your brand design guidelines and each video is tailored to your specific needs. The end result is 100% original video, absolutely no themes used I will create something tailored for your exact needs. Design will be based on latest technology and trends in explainer videos, may it be 2D, 3D or combined for truly awesome experience. Each video is handled as new and important project and everything matters up to the smallest detail. Videos are getting more and more popular on multiple platforms, so grab this hourlie and together we will create something truly amazing. Please check out full portfolio, I can only display so much in this hourlie. Incredible work, and one of the very few top notch freelancers who offer great value for money. Very grateful for the work done by Uldis, I don't think any other freelancer on PPH can deliver the same quality of work. Will surely reuse the services again. This guy is in a league of his own! The turnaround and quality is spectacular! I'll be returning when I have another idea later down the line! A++ Amazing! He provided an amazing animation, with edits exactly as i asked, and didn't complain once (even though i was very specific with edits). I cannot recommend him enough. Don't waste your time looking around, this is your guy if you need work done. One of the best hourlies ive used! This is the first time we have commissioned an explainer, and I am so happy we chose Uldis! He is patient, understood our needs, and quickly worked out what we were trying to create. I would highly recommend him, and would definitely work with him again. Do NOT look any further for video work! This guy is the BEST artist on PPH. I've worked with a lot of talent over the years and this guy is the BEST!!! If you need an AWESOME video then you NEED ULDIS!!! Amazing work! Great Communication! And QUICK!!! Uldis: Very creative, professional, fast, very patient and really friendly. Amazing work!! I’m very happy, he understands completely what I had in mind. I HIGLY RECOMMEND! 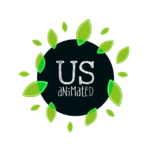 We are “US Animated”! Super creative, unique animations for everyone. You have an idea, we can help you make it an animated reality. It can be absolutely anything - presentations, movie,...Read moreWe are “US Animated”! Super creative, unique animations for everyone. You have an idea, we can help you make it an animated reality. It can be absolutely anything - presentations, movie, titles, infographic, ad, postcard, speech… anything. You name it, we animate. We have 10 year experience in animation, but the passion for animation started way back in 1999. We have fun, colourful, creative and unique projects in our portfolio. It’s not just business, it’s always personal.